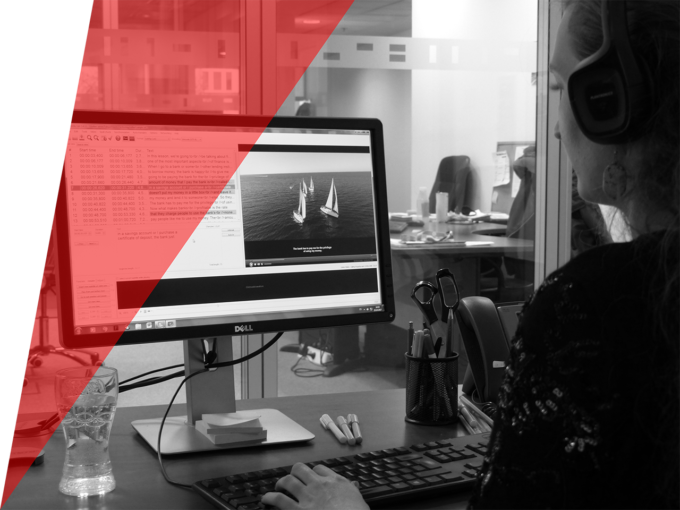 Solten offers full audiovisual language solutions: we take care of each step of the workflow internally, allowing us complete control of the process in order to offer our clients tailor-made solutions that are perfectly adapted to their individual needs. 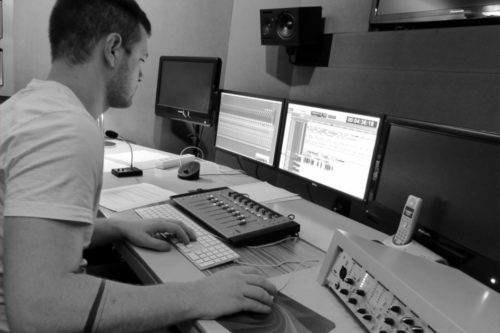 E-learning materials, micro-learning activities, filmed training sessions, video demonstrations – these services all have one thing in common: an audio soundtrack, either recorded live or in post-production. 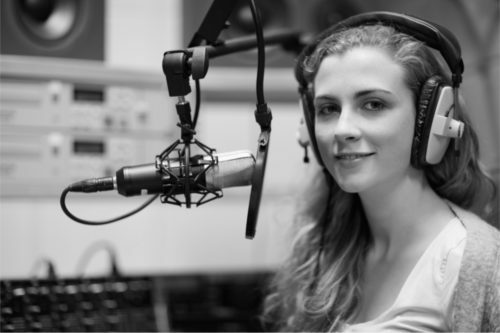 Whether you only need the recording of a short script in English or an entire training programme translated into 20 languages, Solten can offer a tailor-made solution that will allow you to focus on the content, and avoid spending time identifying voice actors and worrying about the details of the recording process. Voice-over | Actors’ voices are either recorded in place of the original or on top of the original audio track, which can still be heard in the background. Lip movement is not considered. Dubbing | Replacement of the original dialogues by another voice, usually in a different language. Translation adapts to lip movement for a natural effect. Subtitling | A classic and cost-effective solution, subtitling can not only reach international audiences more effectively, but also allow a video or e-learning module to be more accessible, even in a work environment where listening to the audio track is not always an option. 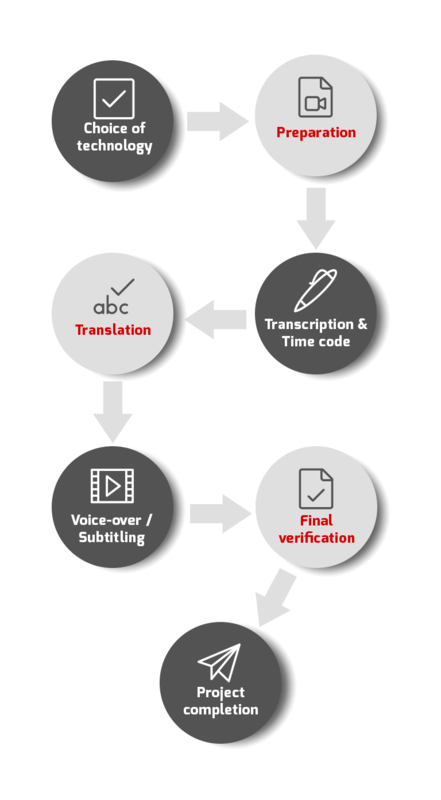 Solten combines its technical expertise in subtitling management and translation services to bring its customers a time and cost-saving full-service offer: whatever the original format and languages, we have unique and diverse solutions. 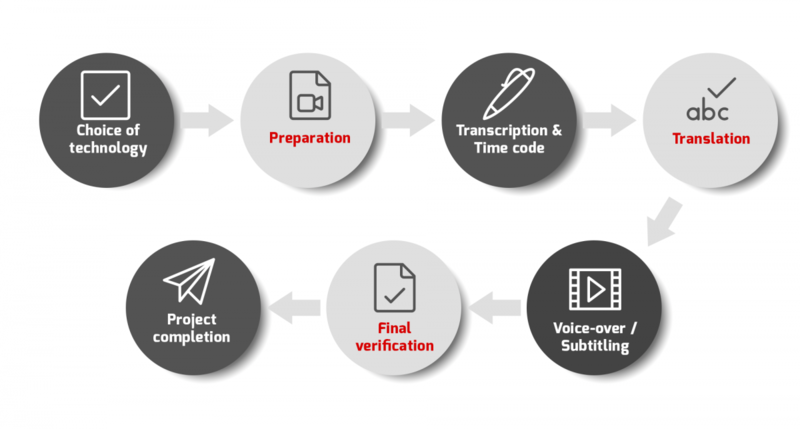 Transcription | A well-crafted subtitle or voice-over project always starts with a high quality transcription including time-coding of the final transcript. Nowadays, companies and organisations are constantly striving to improve the accessibility of their content. In each country, a significant proportion of the population is affected by visual or hearing impairments. This emphasises the importance of audio description and subtitling, which give your entire team the same opportunities to experience audiovisual content. As e-learning solutions expand to a larger range of situations, Solten’s expertise in audiovisual accessibility solutions brings a strong added value to your project. Even with Solten’s cost-effective solutions, a dubbing or subtitling project can represent a significant investment for a sometimes extremely limited target audience. Following recent significant technological advances, Solten can now offer speech synthesis solutions in addition to traditional human voice actors, with a catalogue of quality artificial voices in more than 25 languages, and solid results when coupled with a human “pronunciation editor”. For subtitles, automatic captioning associated with a quality speech-to-text engine and a human post-editor also allow us to use technology for an increased speed of execution and reduced costs. Solten’s technology team offers support for all audio/video formats, all subtitle formats and all subtitle editing software. You will be in direct contact with a dedicated project manager who will offer you a tailor-made solution at a very competitive price. See our references | Contact us to get a free sample and a test.